Developer David Martin joined Russell Galbut’s Crescent Heights project in South Beach as a partner. 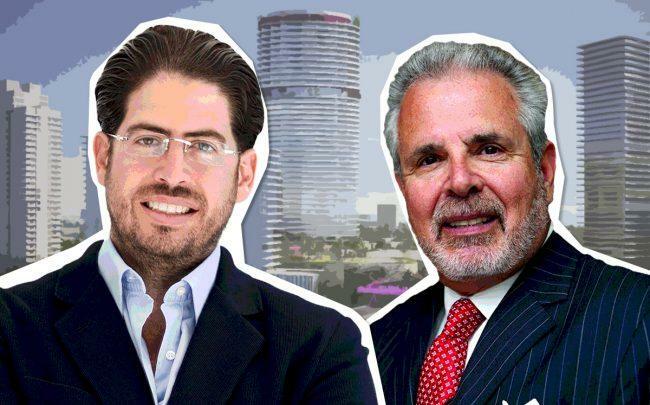 Martin, president and co-founder of Terra, announced his involvement in the Park on Fifth, Galbut’s mixed-use tower and park project at 500 to 700 Alton Road, during a recent community meeting, according to RE Miami Beach. Crescent Heights will perform an implosion of the 10-story South Shore Hospital shell on the property on April 16. In December, the Miami Beach City Commission approved zoning changes and a development agreement that allows Crescent Heights to build a 519-foot, 44-story tower on the 500 block of Alton Road. As part of the deal that was years in the making, the developer will build a 3-acre public park on the 600 block. Martin has two other major projects in the planning or construction stages in Miami Beach. At 8701 Collins Avenue, he’s building Eighty Seven Park, a 66-unit, 18-story condo building. Martin is also a co-developer of the Miami Beach Convention Center Hotel, which was approved by voters last year. Martin said during the community meeting, held at the Mondrian South Beach, that he was watching the Crescent Heights project go through the city for approvals while the convention center hotel was being proposed. The 500 Alton tower will have 40 floors with 350 residential units, with the first 20 floors for 220 apartments and the other 20 floors with 130 condos. The building will also have nearly 49,000 square feet of amenities.